10X Fitness is a brand that both myself and Louise are extremely proud and excited to have established. Our inspiration to create the company in 2017 came from our determination to improve and strengthen our own individual businesses. In February 2018 we were presented with a fantastic opportunity to develop a functional training facility through the acquisition of commercial premises. The decision to go ahead with the proposed development was an easy one to make as our commitment to creating the ideal training environment for our clients was unwavering. The grand opening of the facility took place in May 2018 and we haven’t looked back since! We are now able deliver an even greater and more varied fitness and lifestyle experience to our clients all in one dynamic space. Not only that but it is vital to us that our clients feel part of something special. By joining 10X Fitness you will receive the support and motivation not only from myself and Louise but from other members of the 10X Fitness family as well. We make it clear to every client that they are an integral part of the success of 10X Fitness knowing that their individual progress and achievements do a great deal to inspire other members to achieve the same. Maybe you’re the next person determined to make a positive change to your life, or even better you might just be the inspiration for someone to change theirs. Whatever the motivating factor may be, we can’t wait to welcome you to the 10X Fitness family. Hi, my name is Kev, I am a 10X fitness co-founder and coach. As many a young boy aspires to, I wanted to be a professional footballer when I grew up. Although I may not be playing for Tottenham Hotspur today, the focus and determination to push myself from a young age has certainly shaped who I am. My love for sport and fitness began at that point, from the age of 11 I represented Torquay united and did so until I was 16. I then moved my football and education to Cirencester Academy where I continued to play at a high level against other professional teams. I’m still motivated and get great excitement from playing competitively to this day; I guess you can say football is my passion! I have also taken on and continue to compete in a variety of fitness challenges each year, these include; competing in crossfit events, running half marathons, climbing mountains and organising team events such as tough mudder. In my 8 years as a coach and personal trainer I have worked with numerous clients who have had varying type of goals and aspirations. No matter whether you’re trying to lose weight, gain lean muscle or train for performance there is not a ‘one size fits all’ approach to the training at 10X Fitness. The individualised training programs we create are based on assessing a clients strengths & weaknesses as well as their specific training goals. By finding out what really motivates you as an individual we can ensure the fitness journey you embark on is not just challenging and rewarding but most importantly enjoyable. I am fully aware that life can be dictated by work, time and family. I also understand the huge importance of incorporating exercise, healthy eating and a positive attitude into helping you get the most out of life. My involvement in competitive sport has taught me many things but above all if you work hard and push boundaries, you will be able to achieve your goals and aspirations. 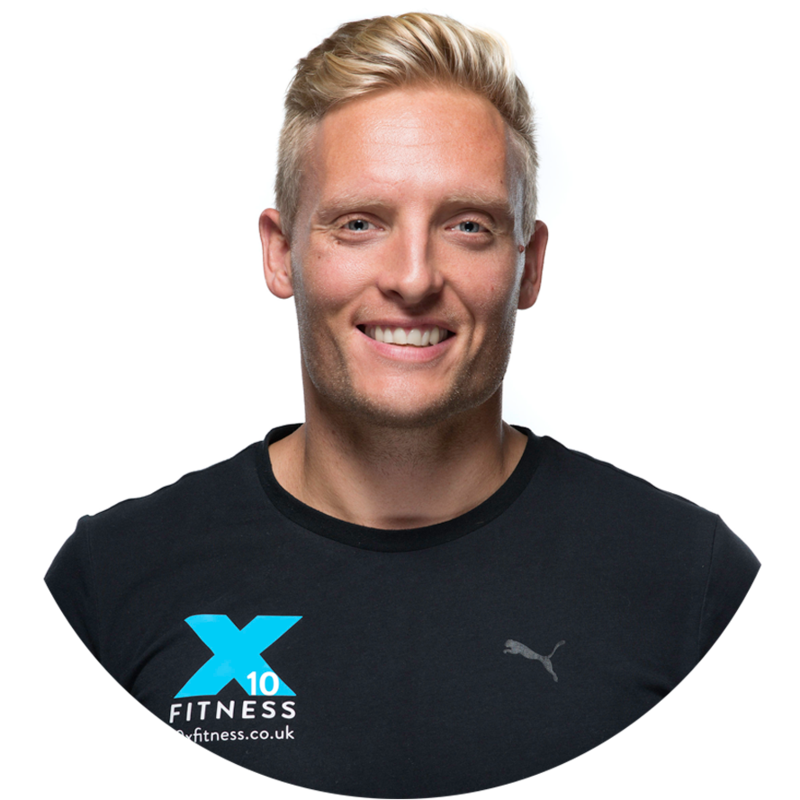 At 10X Fitness we can provide you with the support and guidance to make positive lifestyle changes that will benefit you in all areas of your life. 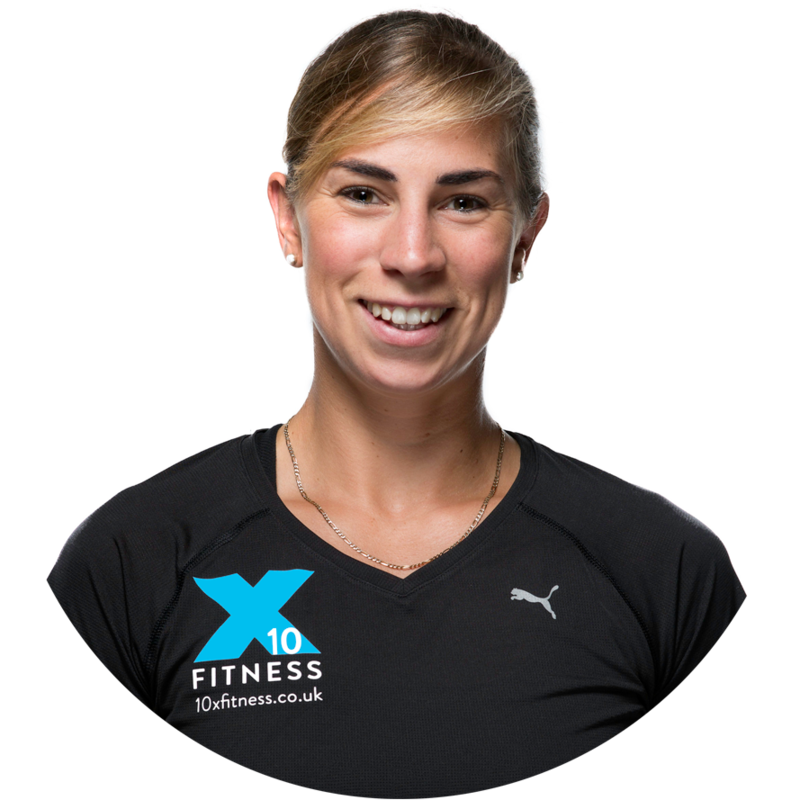 Hi, my name is Louise, I am a 10X Fitness co-founder and coach. Sport and exercise has been in my blood from a very early age. I trained and competed in gymnastics for many years but my transition into pole vaulting whilst at university brought about my greatest sporting success. Athletics allowed me to travel the world representing Great Britain at junior and senior level. I was privileged to work along side some amazing coaches, therapists and professional athletes during my time as a pole vaulter, gaining a wealth of knowledge along the way. Since retiring in 2012 I have participated in a variety of different events such as a the London marathon, half marathons, several Crossfit competitions and even braving it on stage in a bodybuilding show! I have been coaching since I was 16 years old and always knew that's what I wanted to do. So much so I decided to continue my education at the University of Wales Institute Cardiff studying sports coaching. The result of my 3 years studying saw me graduate the university with a 2:1 honours degree. This combined with my international athletics career has given me the invaluable knowledge and experience I can now pass on to my clients. I think my involvement in sport is what makes me so passionate about my job, when you get to help others realise their goals and aspirations it provides me with such a great sense of accomplishment. There is no greater feeling than knowing you have made a difference in someone’s life. As a full time personal trainer and class instructor my aim is to bring out the best in my clients, any way I can! We are all individual people who have different reasons for wanting to live a healthy and active lifestyle. However difficult or far away your goals may seem I'm here to get you to where you want to be. Whether you’re walking in to the gym for the first time ready to embark on an exciting new fitness journey, or a more experienced trainer who wants to take their training to the next level, at 10X Fitness we can provide a comprehensive training plan designed just for you.